What Lens Options Can I Choose At Glasses2You? Here at Glasses2You, it's our aim to provide our customers with the perfect pair of glasses to suit their needs whilst at the same time, at an unbeatable price. Below we've briefly outlined the various lens options available during the order process. As you go through the site, select your favourite frame, then choose your vision type, lens package and thickness and any optional sunglass options during checkout to get the perfect specs that are just right for both you and your budget. Designed to be used to help the user focus on things that are either close, such as reading or close up activities, far, such as driving and seeing into the distance or intermediate use, such as working at a computer. If you require glasses to see both near and far then you will need to consider getting bifocal or varifocal lenses. Bifocal lenses are for both near and far vision. They are characterised by having a visible reading section at the bottom of the lens. The top half of the lens is for distance vision. Varifocal lenses allow the wearer to focus on things near, far and all distances inbetween. They offer a smooth progression (with no visible lines on the lenses) from long distance vision at the top of the lens, through intermediate vision at the center of the lenses and down to the reading section at the bottom. If required, your optician will most likely have advised you to try varifocal glasses at the time of your last eye test. Glasses2You offer a wide selection of lenses to meet any needs you may have – from everyday clear glasses to prescription sunglasses. 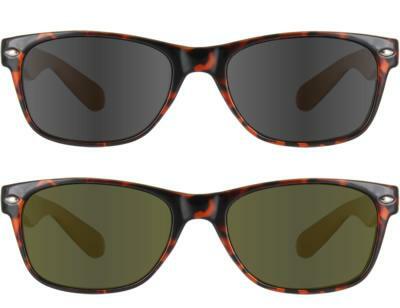 You can turn any frame on our site into a stylish pair of prescription sunglasses! Just select your choice of sunglass options through the order process when personalising your glasses. 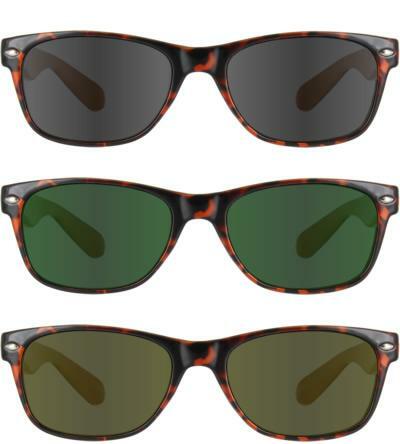 See below for all of our sunglass options. Clear lenses are designed for everyday use whether that be reading or seeing into the distance, depending on your eyesight requirements. Tinted lenses with mirror coating. This type of lens has made a massive comeback. Get yours for less at glasses2you. 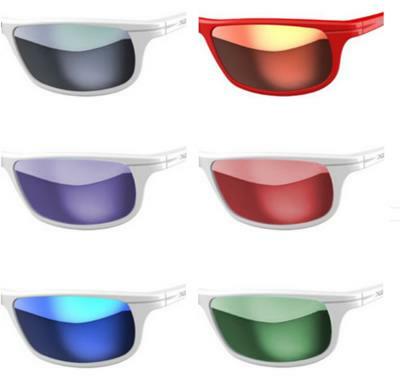 All our sunglass lenses are UV400 coated for your protection. Polarised lenses are the ideal lenses to reduce glare, improve visual comfort and clarity and reduce eye strain. They improve visual contrast. These superb lenses block 99.7% of glare from reflected light and absorb 85% visible light and 100% of harmful UVA and UVB rays. - Available in grey and brown. Ideal for anyone who encounters situations where reflected light can be an issue such as driving, fishing, skiing, sailing and golf. Designed to alter from clear to tinted depending on lighting conditions. Whilst indoors or in low outside light, lenses will appear clear but in bright light, lenses darken to become sunglasses. Available in grey or brown. Shopping at Glasses2You not only enables you to save a fortune on glasses frames but also on lenses too. Have a look at our amazing value lens packages below. FREE and included with your frame choice.